That meeting was supposed to be different. Maybe not totally different but special. The plan of course was to meet and listen to music, have some conversation and friendly discussion over good wine, but this time I also wanted to celebrate the 100th edition of “High Fidelity” magazine. Krakow Sonic Society is in fact its integral part; it is the magazine’s “social emanation” and its “human face.” It arose from the need to investigate certain things in a group of people, to examine audio components which I could obviously test myself, but which sometimes require more than a single opinion; instead of a collective “wow” they require a variety of opinions and different points of view. As I wrote in my editorial to the 100th edition of HF (see HERE), initially our meetings at Janusz’s, because it was his audio system that started it off, were informal and were an extension of so called Audioszołki (“Small audio shows”) whose publication in “Audio” magazine had just ended. It all worked out well in the end, but initially no one had any idea it would be so. After our first few meetings and listening sessions I decided to systematize them somehow, to put them in some kind of a frame, and so was born the idea of a “Society”, based on Western (mainly the U.S. and Britain) organizations of this kind. 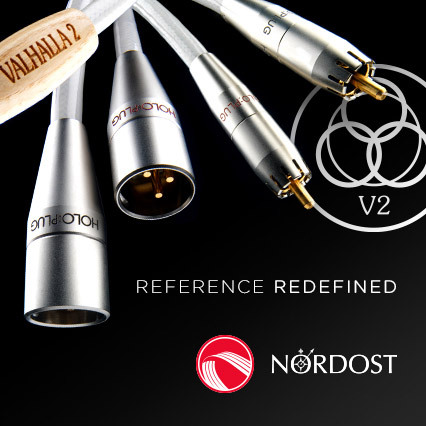 They usually bring together fans of music presented in the best possible quality, paying attention to every aspect of the music reproduction process, with particular emphasis on audio components, media and accessories. That was the beginning of 'Krakow' (for “High Fidelity” is located in Krakow) ‘Sonic’ (concerning all aspects of sound) 'Society' (it could as well be called a 'group', 'club', 'association' or something like that). 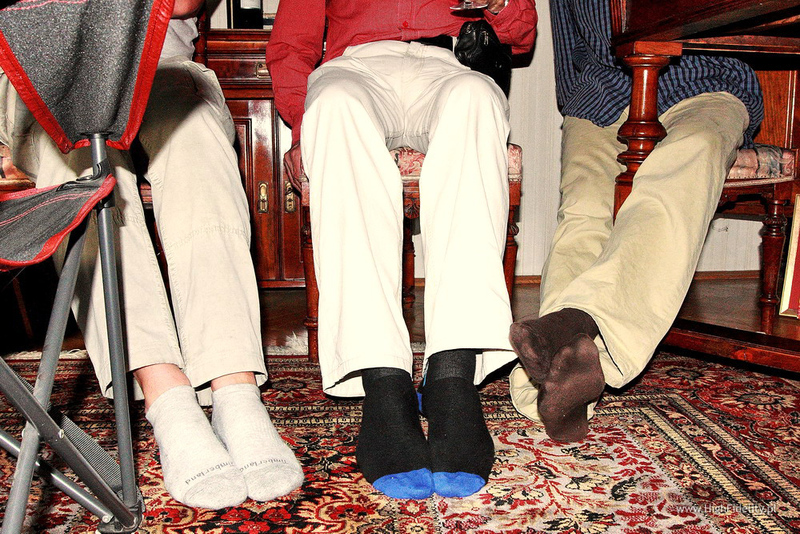 We meet at one of the three houses of our members – since "always" at Janusz’s, since a couple of years at Rysiek S., and more recently also at Tomek’s. We also met a few times at Marcin’s. There was also an away meeting (see HERE). It was not supposed to be like that. The initial plan was that the meetings will be held in a larger room, perhaps an audio salon listening room, and will be open to all. But, as often happens, life got in the way of our plans. First of all, we could not agree on a meeting place without causing controversy in the so-called “audio business” – the level of animosity (not to say hatred or envy), the temperature of the conflicts between different audio salons, distributors, etc., the questions "why at HIS?!" or " Why THERE?!" heard over and over again resulted in our decision to meet at our houses, friendly places where we could focus on what is most important to us – the sound. And it seems that it will stay that way. The obvious downside of that solution was a drastic reduction in the number of participants. It depended on the room capacity and the owner’s tolerance (or his wife’s, which was the same thing anyway). A smaller number of participants meant less diversity of opinions and it largely excluded so called “fresh blood”. However, over time it turned out that these drawbacks could be turned into advantages. Gradually, a group of people was formed who were accustomed to the rigors of auditioning (this is very important!) and to its methodology, a group of people with good or very good audio equipment at home, people knowing and liking music and – perhaps most importantly – liking each other. I could always count on them, at any time, knowing that if I say that we are meeting in two days at this or that house, for we have a special guest or we have a certain audio product just for a short while, they would all come, without a murmur. And so after eight years there came the 85th KSS meeting which coincided with the 100th edition of HF. I decided it was high time to honor my friends somehow. Before we started our listening session I handed them special certificates attesting to their membership in the Society and small memorabilia, including photos from different events. 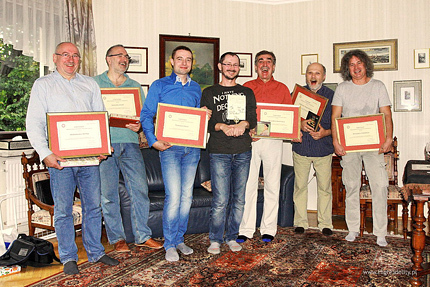 Special Associate Member Certificates are waiting for our guests from abroad who came to visit us in the past. In order to keep us focused on listening I also prepared two products for auditioning: the Acoustic Revive RAF-48 anti-vibration platform and First Impression Music Ultra HD CDs. Since they are perhaps not particularly special in themselves, in order to raise the bar I prepared a comparative listening test. In the first part of the meeting we focused our attention not on the platform as such, but on its new version, with the top shelf made of hickory wood instead of Finnish birch. Its frame is now also made of hickory. As it turns out, the new platform boasts improved shelf leveling and faster inflation time. The top shelf is not made of plywood but small wooden planks glued together. The test was not meant to confirm that the platform "works", because that is clear to us (most of us use them; some of us have two or three of them), but rather to find out how the sound changes with the new type of wood from which the shelf is made. The second part of the meeting was devoted to something equally cool – comparing two versions of the same CD from Mr. Winston Ma, on his record label First Impression Music, issued under its sub-label Lasting Impression Music. Mr. Winston Ma issues his latest album in the U.S., and prepares them with UltraHD technology, using a 32-bit mastering. You may remember that FIM is a company focusing on advances in mastering and pressing of CDs. Through his personal contacts, Mr. Ma was often the first to implement such techniques as XRCD, XRCD2, XRCD24, K2HD and others – and now UltraHD. His favourite, I think, is XRCD (eXtended Resolution Compact Disc), which manages through appropriate techniques to achieve an equivalent of 20-bit resolution on regular CD, without any additional decoders. One of the iron rules of XRCD pressings in each of its three variants was that we only get 2000 copies of any CD. The reason for that is that they limited the number of glass masters used to press the CDs and the number of CDs pressed with one master. Normally one glass master is used to press a dozen thousand CDs, despite the fact that the master wears out resulting in the less regular pits and lands on CDs. No big deal, apparently, since any CD player will play such CDs. However, it appears that these CDs rely heavily on error correction system and that always results in an increase of jitter. You can easily hear it as sound deterioration, regardless of what so called "objectivists" say, claiming that "a bit is a bit". These observations of how CD pressing techniques impact the sound was quickly recognized by companies other than JVC, which holds the patent on XRCD. I'm talking of course about SHM-CD (Super High Material CD), the idea of JVC and Universal Music Company and HQCD (HiQuality CD) from Toshiba-EMI, being a response to SHM-CD. The last, for now, manufacturer to join this exclusive "club" is Sony Music Japan with its Blu-Spec CD, meaning CDs pressed on Blu-ray pressing machines. All of these CD variants (because they are not "formats") I described in February 2009, in my editorial Compact Disc alive forever? (see HERE), and in May of the same year there was a Krakow Sonic Society meeting (# 64, see HERE), during which we compared regular CD editions with SHM-CD, HQCD and Blu-spec CD versions. Let me remind you that the conclusion of both of these texts was not clear, i.e. we did not rush to exchange our CD collections, nor did we cry over the quality of the older technology. Most new recordings sounded better, but not all, and the changes were not consistent, in that it was not quite possible to pinpoint what it is exactly that the new technology brings. Since then, however, much has changed. Now, without a hint of hesitation I point to Blu-spec CD as bringing the greatest improvement, followed by SHM-CD, and finally HQCD. Each one of them is a big step forward. Why did we not recognize it right away? I'm not sure; I can only speculate. I think it was probably due to musical material preparation, that it needed some further development. They were only first attempts, first released titles and I think the owners of patents did not yet quite know what they could do with them. But let’s get back to XRCD. As I said, one of the basic assumptions of this method of master preparation and CD pressing was strictly limited number of copies made of one glass master. But what would happen if they used it to press more copies? Would they really differ from those pressed earlier? This question can be answered indirectly. Mr. Winston Ma offers his CDs in two versions - the classic version and the "First 2000 pressings!" with a metal plaque on the CD cover and a suitable inscription. 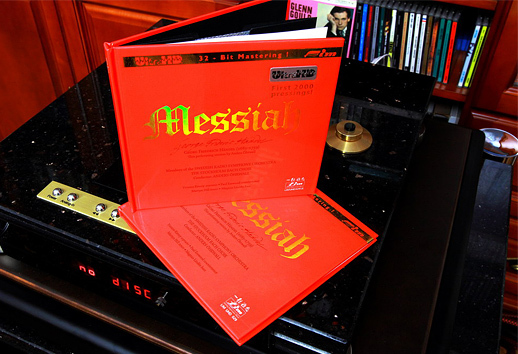 For our listening test we used G.F. Handel’s Messiah performed by Swedish Radio Symphony Orchestra, conducted by Anders Öhrwall, originally released by Proprius, and now by Lasting Impression Music (regular version - LIM UHD 029, limited edition - LIM UHD 029 LE). Listening test had a character of A-B/B-A comparison, with the A and B known. First (A) was the original platform, sitting under Janusz’s CD transport (he has another one under his monoblocks but we focused on the CD transport). We then changed it for the new version (B) and in the end we came back to the original one. I collected all our comments after the listening session. Eric Burdon, Eric Burdon Declares War, Navarre Collection, ASR 10604-2, gold-CD. Herb, Al, Zoot, Serge, The Four Brothers .... Together Again!, RCA/BMG Japan, BVCJ-37347, K2 CD. Modern Talking, The Collection, Sony Music, 5439142, Limited Edition, No. 0420, K2HD CD. Peggy Lee, Black Coffee, Decca/Verve/Universal Music Japan, UCCU-9631, SHM-CD. Peggy Lee, Mink Jazz, Toshiba-EMI, TOCJ-9327, CD. This Mortail Coil, Filigree & Shadow, 4AD, CAD 3X05 CDJ, HDCD. The Kraftwerk album seems to me to sound better on the new platform. But the tonal balance was slightly raised – it was higher, brighter, more flashy. Everything was different, rather than better or worse. But - after all, we can all hear it - the change is quite substantial; the new platform makes other changes in the sound than the older version. But I would have to live with it for a little longer before I could decide if I change something. The older version, with the shelf of Finnish birch proved to be, in my opinion, worse – apart from the final track. There it seemed to better fit the track character. The new platform adds expression, explicitness to the sound. At first glance, these things always seem to be better - but I would need to spend more time with it to see whether it would not bother me in longer listening.